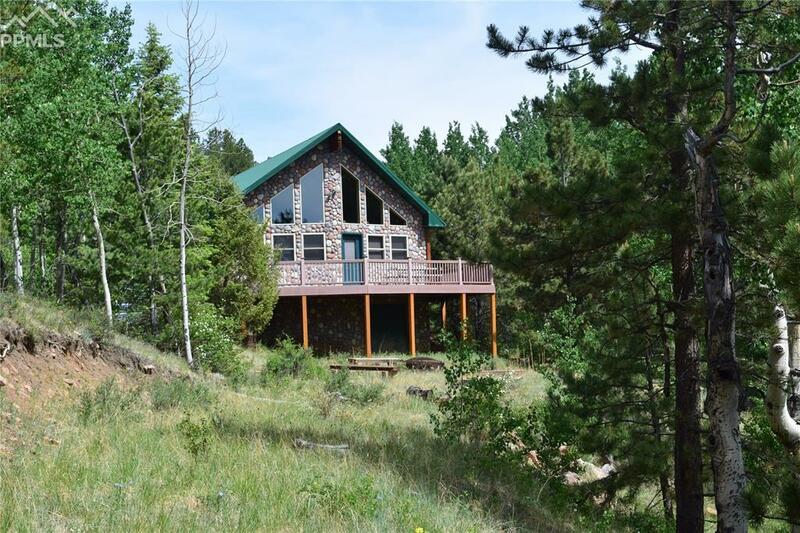 Check all the boxes on this one, nice cabin, mountain stream, spring fed ponds, large acreage, private canyon and adjoining public lands. It is rare to get all the bells and whistles in one property! 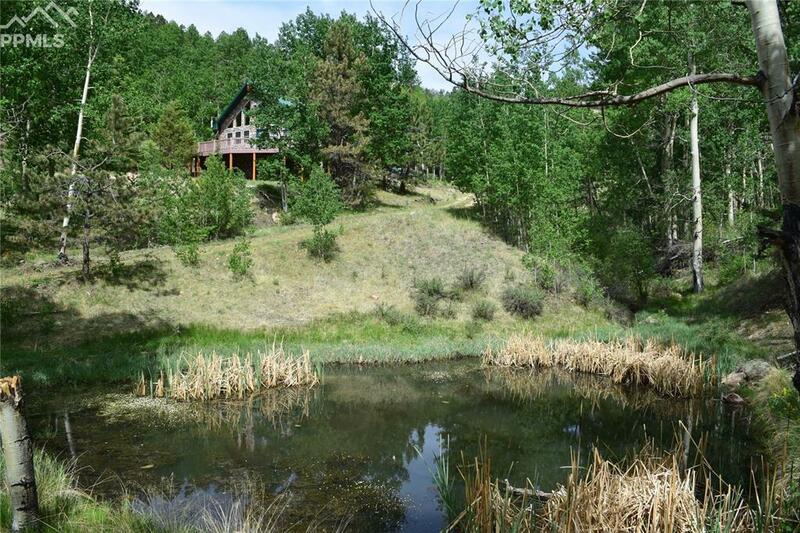 The property consists of 120 acres of meadows, pine and spruce forest, aspens and rock formations. 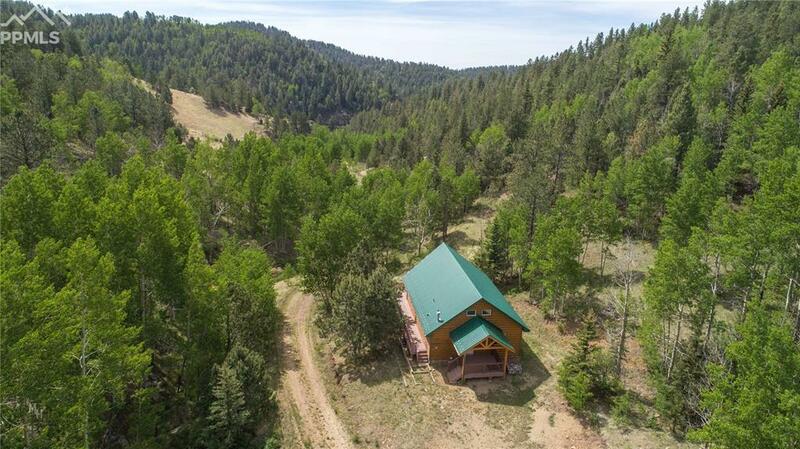 Enjoy amazing privacy, top-notch hunting, hiking and recreational activities. Eight Mile Creek cascades through the property and the land is surrounded on three sides by both BLM and State Trust Lands. The custom cabin home was built in 2005 and carefully designed by the owners. It is completely off-grid and self-sufficient with a large generator system, 1,000 gallon propane tank, and solar panels. The cabin had a great room opening to a large deck for family gatherings. The interior is done in rustic knotty pine finish and an efficient pellet stove keeps the entire cabin warm on cool Colorado evenings. As an added bonus, a large unfinished basement provides a great opportunity to add additional bedrooms and bathroom, workshop or storage area. Enjoy hiking, ATV use, camping, hunting, shooting, and more. Elk, mule deer, and turkey are seen regularly in and around the land often grazing in the meadows or near the spring fed ponds. The property is only a short drive to Skagway Reservoir which offers great fishing opportunities for rainbow and brown trout and Colorado Springs is a short 90 minute drive. Located on the historic Phantom Canyon Road which was part of the Gold Belt Tour over a century ago, you can easily imagine the ore and passenger trains running up and down the canyon to the Cripple Creek and Victor Mining Districts. 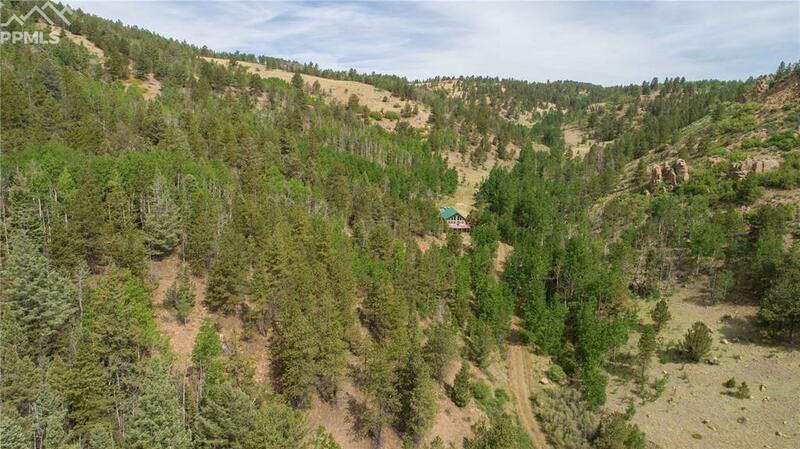 Ideal for the recreational and outdoor enthusiast, a family legacy property, hunting retreat, company cabin and much more!